Nowadays, tiny kitchens are the norm in the big cities and densely populated areas in the UK. We often under-utilize the kitchen space in our homes, and that keeps us craving for more and more space. However, the magic to create more space lies in the way we utilize the existing one. Organizing stuff by how and when you use them will make the work handy for you. For instance, oil, spices, glasses, and mugs should be kept nearby your stove but away from the stove heat. Utilize your corner space well, it can accommodate additional bottle, cans, and plates for you. Be smart while designing the shelves, additional shelves will allow you to fit more dishes in your cupboards. Things that you rarely use, keep them in boxes and place them above the cabinets or shelves. Adding some extra space over your shelves will help you store some big items. Hanging the pans on backsplash pegboard and having a magnetic knife holder can do the trick for you. Also, a vertical paper holder storing for aluminum foils, storage bags or plastic wraps is good to have an option. Analyze the kitchen shape and design the stuff accordingly. Foldable table or countertop can save an additional space for you and serve 2 in 1 purpose. Avoid big appliances if you are struggling for space, small ones can serve the same purpose as that of a big one. 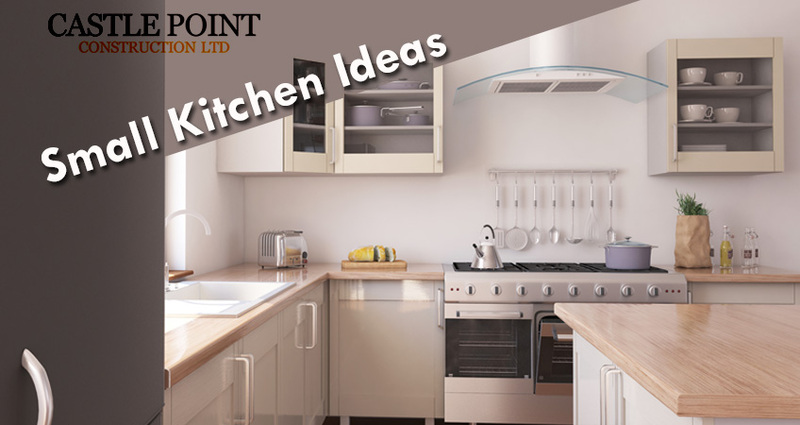 Look for our infographics for more kitchen extension ideas as we are best kitchen fitters Essex have.